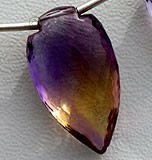 Scapolite is a transparent stone, occurring in a wide range of colors from colorless to white, pink, purple, violet, violet blue, blue, yellow, red, orange, gray, and greenish to bluish gray. 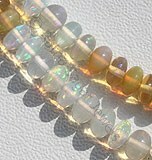 The difference in color reflects variations in the stones composition, ranging from sodium-rich to calcium rich. 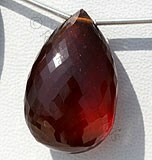 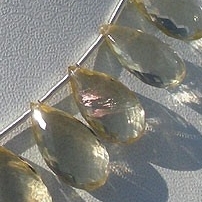 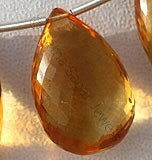 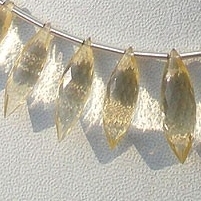 Orange, light red and whitish colored varieties may also occur as semi-transparent stones. 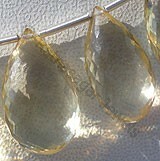 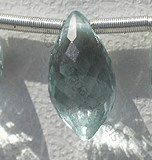 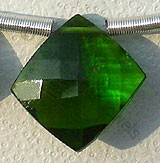 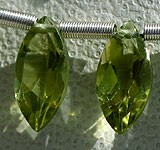 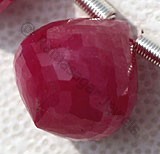 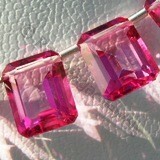 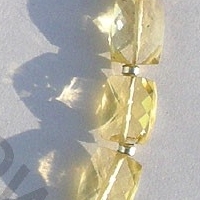 Scapolite amazing shine and color make it the best stone ever used for gemstone studded jewelry. 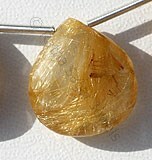 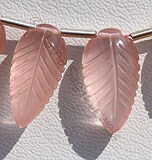 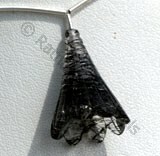 Scapolite gemstones are generally natural and not enhanced, though it may be possible for certain forms to turn pink upon heat treatment. 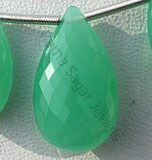 The online collection of Scapolite gemstone beads available at the store of Ratna Sagar Jewels is something that you can definitely vouch on; they make the best shapes and all these shapes are unique and superb. 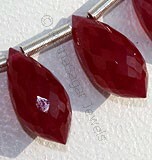 These shapes in Scapolite gemstone beads include: Heart Briolette, Flat Pear Briolette, Faceted Rectangles and Dew Drops Briolette. 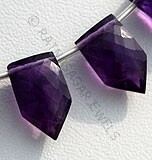 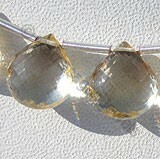 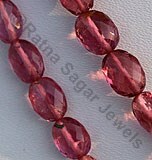 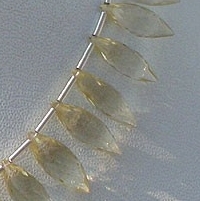 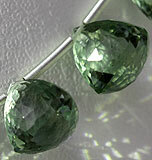 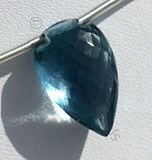 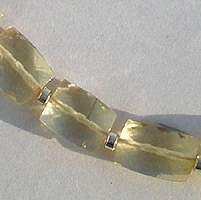 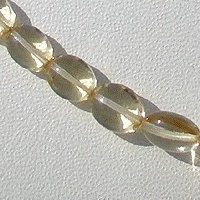 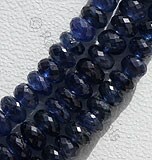 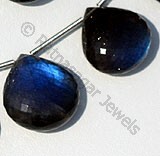 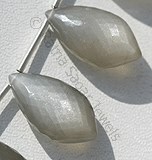 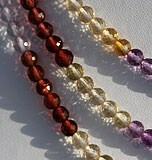 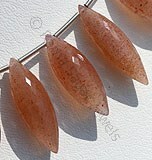 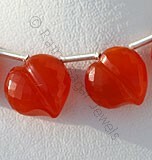 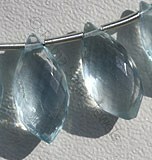 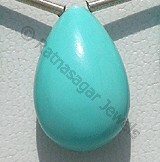 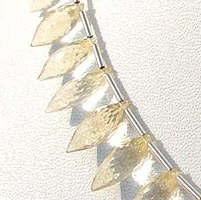 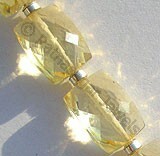 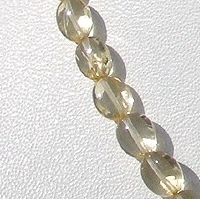 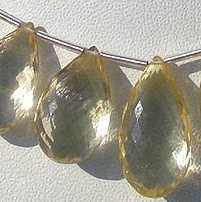 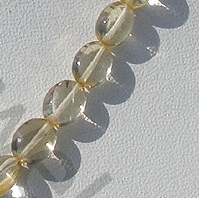 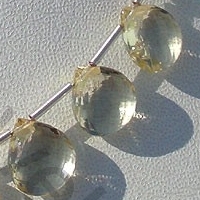 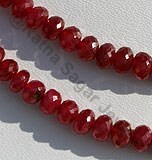 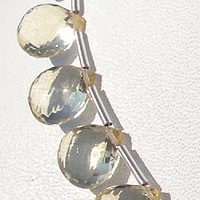 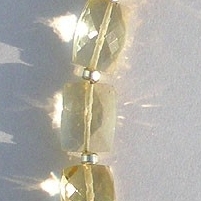 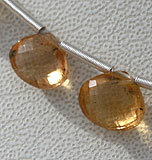 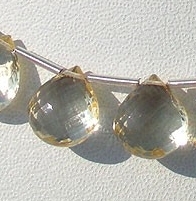 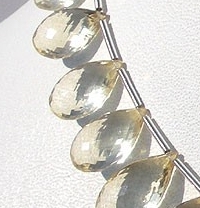 Buy the Scapolite gemstone beads from this online store for the most affordable prices. 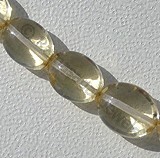 Natural Scapolite Gemstone Beads possess property of gemmy transparent and are available in light yellowish color with smooth polish cut, Oval shape. 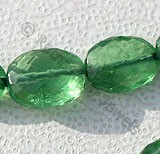 Natural Scapolite Gemstone Beads possess property of gemmy transparent and are available in light yellowish color with micro cut, Rectangle shape. 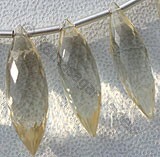 Natural Scapolite Gemstone Beads possess property of gemmy transparent and are available in light yellowish color with micro cut, Long Rice shape.